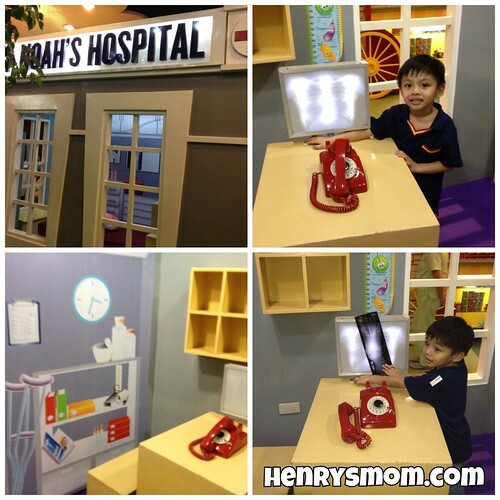 Henry's first stop was at Noah's Hospital. He liked playing with the X-ray view light box. They had real x-ray films. 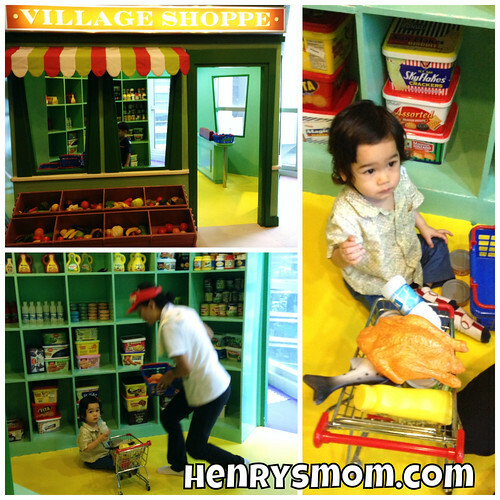 This little man enjoyed the Village Shoppe, where he kept coming back. 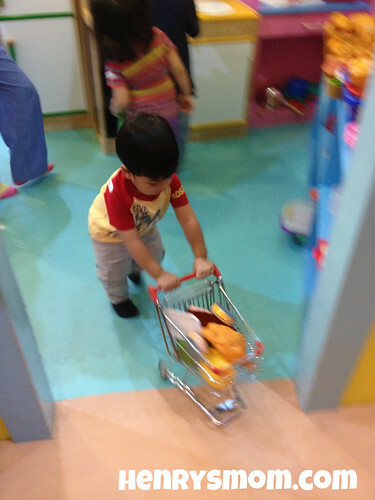 As you can see, even the push cart was made for kids. My personal favorite is Sweet Kei's Café since we got to sit down, even for a little while. Here.we pretended to have a tea party. Kidzville also has an area for mommies where they can have their nails done while their kids play. Here's my cousin, Liz of Butterflylilies. She got to relax while I watched her kid. 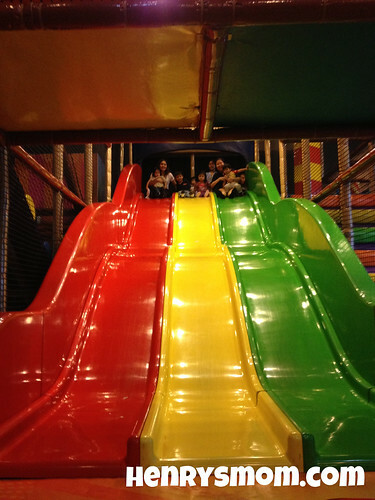 What I like about Kidzville is that it's very well-maintained and clean if you compare it to other mall-based play centers. 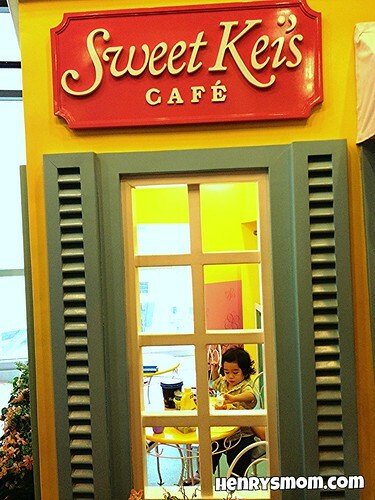 When we were inside the "café", I noticed that there were a couple of Kidzville employees outside. Apparenly, they were on stand-by to pick up after the mess we have created. Although the price might look expensive compared to the others, I found it sulit or just right. 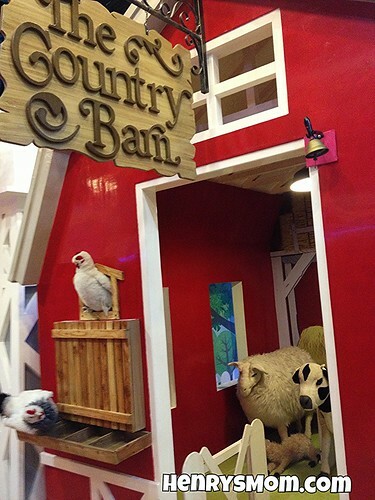 Kidzville is a 2-in-1 play center that consist of an active gym and a mini village. 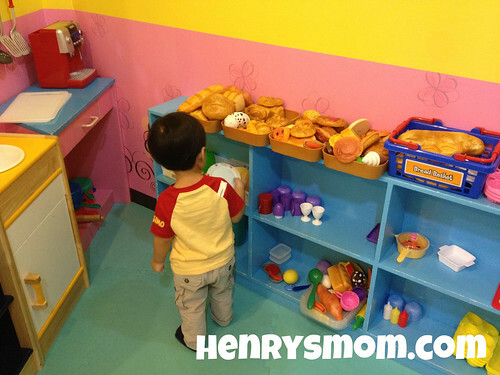 Other mall-based play centers offer only an active gym or a mini village but never both. We are definitely going back here and we are looking forward to another playdate with the cousins. 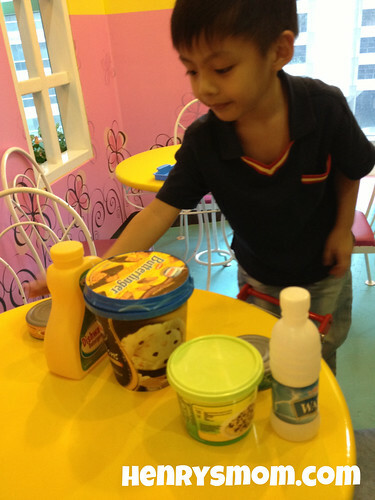 KIdzville is located at the 4th floor of the Podium Mall in Ortigas Center. UPDATE: Apparently they changed their name to KidzCity now.